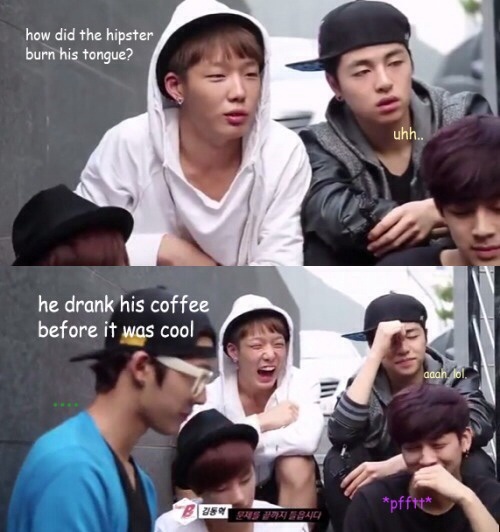 How the Hipster Burned His Tongue. . Wallpaper and background images in the ace2000 club tagged: photo hipsters jokes bobby funny kpop rappers ikon music songs.